Dialogue pops up a lot in writing! 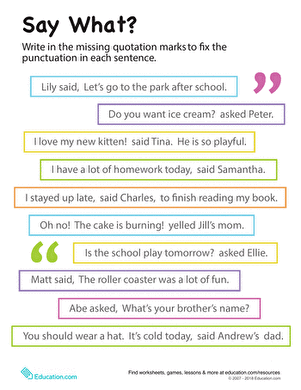 This worksheet helps kids practise punctuating dialogue and sentences correctly, including showing an example of how it's done. Review and practise writing dialogue with your students. Choose from three situations and create an original dialogue for the characters in one of them. 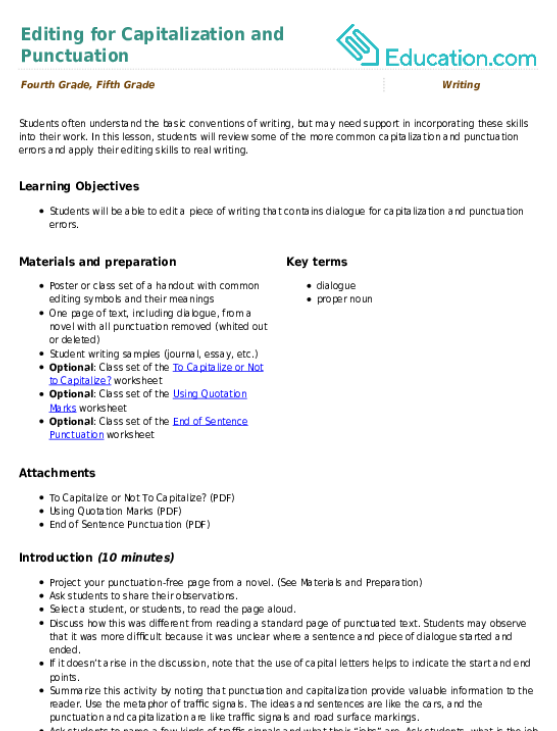 Learn how to write dialogue with this writing activity that, in the long run, will help you better understand literature. 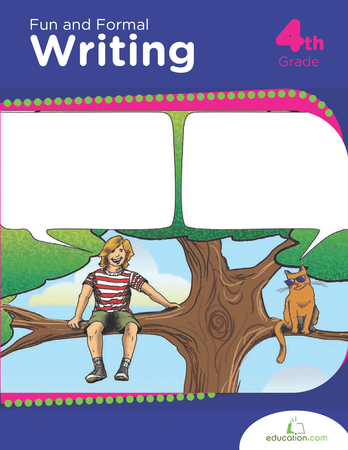 These open-ended exercises help kids write dialogue and exposition while crafting essays or stories.